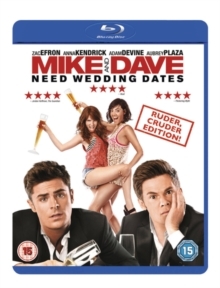 Jake Szymanski directs this comedy starring Adam DeVine and Zac Efron as the wild, party-loving, alcohol-selling Stangle brothers Mike and Dave. 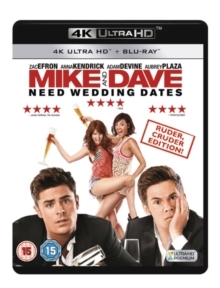 With past escapades including the burning of a trailer and the destruction of the gifts table at their cousin's wedding, when their sister Jeannie (Sugar Lyn Beard) announces that she plans to marry her fiancé Eric (Sam Richardson) in the beautiful setting of Hawaii, their parents give Mike and Dave strict instructions to find dates in the hope of curbing their calamitous tendencies. 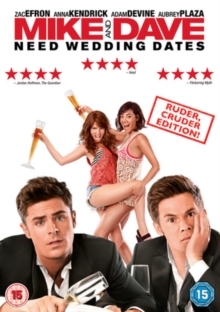 They place an online advert for dates which quickly goes viral, attracting the attention of two opportunistic women, Tatiana (Aubrey Plaza) and Alice (Anna Kendrick), who apply with the sole interest of getting a free holiday. When they land in Hawaii, however, the girls' crazy antics threaten to ruin their pretence and outdo the unwitting Stangle brothers.